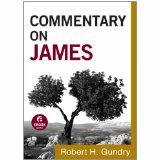 Baker Academic is offering a free E-book version of Robert Gundry's commentary on James. It is part of his overall commentary on the New Testament. I never thought I would want an Ereader, but my wife got me one for my birthday and I am enjoying it. Last week I downloaded a free version of Gundry's commentary on Ephesians. These commentaries are not large, they are chapters of his overall work on the New Testament. But they are free! Baker Academic is proud to announce new ebook shorts from Robert H. Gundry. In these verse-by-verse commentaries taken from Commentary on the New Testament, Robert Gundry offers a fresh, literal translation and a reliable exposition of every book of the New Testament. Students and scholars will welcome Gundry’s nontechnical explanations and clarifications, and readers at all levels will appreciate his sparkling interpretations. Priced from $1.99 to $5.99 these affordable and convenient resources are available wherever ebooks are sold. As we celebrate the release of this series, Baker Academic will be making selected entries from this commentary series free for one day only. On Monday January 9th, Gundry’s commentary on Ephesians will be free to download for 24 hours on Amazon, CBD, and Barnes & Noble. This will be followed by other selections made free to download on January 16th and 23rd. Get the free Ebook at Amazon. I *just* finished holding a multi-month bible study on the book of James. Would have been a nice tool to have at my disposal. I'm going to download it and review it to see how close my studies and the commentary's thoughts are.